Judge Michael Lynn of the United States Bankruptcy Court for the Northern District of Texas (the “Texas Bankruptcy Court”) recently enjoined the Federal Communications Commission (the “FCC”) from terminating approximately 700 wireless spectrum licenses held by Chapter 11 debtor FiberTower Networks, Inc. ( “FiberTower”).1 Under the preliminary injunction, FiberTower’s license may not be cancelled until the FCC completes its administrative review of FiberTower’s licensure status and through the duration of any appeal of the FCC’s decision. This ruling, from which the FCC unsuccessfully sought leave to appeal, raises anew the clash between telecommunications law and policy and the Bankruptcy Code. Approximately 10 years ago, a similar conflict reached the Supreme Court in FCC v. NextWave Personal Communications, Inc., where the court ruled that, under Section 525 of the Bankruptcy Code, the FCC could not cancel NextWave’s C-block spectrum licenses despite NextWave’s failure to make full payment for them.2 The FiberTower decision demonstrates that NextWave was not the last word on this issue, and that courts continue to grapple with harmonizing these disparate bodies of law. Moreover, looming on the horizon is the LightSquared, Inc. Chapter 11 case, which raises similar issues. This article summarizes the competing legal and policy aims of federal telecommunications law and the Bankruptcy Code. It next turns to NextWave and illustrates how the conflict between bankruptcy and telecommunications law was resolved in that case, before turning to an analysis of the FiberTower ruling. Finally, it outlines the issues looming in LightSquared, and considers how that case may be impacted by the FiberTower decision. Bankruptcy has quite different policy goals, including providing a fresh start to a troubled company.11 The bankruptcy laws also presume that reorganizing a troubled business will yield better overall results to a business, its employees and creditors than would piecemeal liquidation of its assets.12 For many troubled telecommunications companies, their FCC licenses represent their most valuable asset. Indeed, without their FCC licenses, these companies literally have no business, and thus bankruptcy courts have often been protective of debtors’ efforts to maintain their licenses, thus creating the conflict between the public policy goals of the different areas of the law. After the C-block spectrum auctions were conducted, several bidders, including NextWave, had difficulty obtaining financing to complete their purchases. The FCC responded by revising the payment rules, but set a deadline for licensees to make the next installment payment.16 NextWave sought additional time beyond that deadline from the FCC and the Court of Appeals for the District of Columbia, but when those efforts were unsuccessful, it filed a Chapter 11 petition in the United States Bankruptcy Court for the Southern District of New York (the “New York Bankruptcy Court”). NextWave then commenced litigation against the FCC, seeking to halt the threat by the FCC to cancel its licenses, and claiming that its license payment obligations should be avoided as a fraudulent conveyance. The NextWave decision is important in several respects: first, it made clear that federal agencies are subject to the limitations of the Bankruptcy Code, even when acting in a regulatory capacity. The corollary is that under Section 525(a) of the Bankruptcy Code, governmental agencies will not be permitted to cancel licenses for failure to satisfy pecuniary obligations, which means that the Bankruptcy Code overrules inconsistent agency statutes and regulations. Further, NextWave demonstrated that the Supreme Court would not subordinate the policies of the Bankruptcy Code to FCC policy, but would instead seek to harmonize them. But because NextWave turned on the FCC’s actions as a creditor, it left open the issue of harmonizing purely regulatory actions by the FCC with bankruptcy policy. On September 27, 2012, the United States Bankruptcy Court for the Northern District of Texas (the “Texas Bankruptcy Court”) entered an order enjoining the FCC from terminating FCC licenses held by FiberTower until the conclusion of the FCC’s internal review of FiberTower’s application for an extension or waiver of certain licensing conditions and through the duration of any appeals.29 The initial order was followed by a written decision dated October 11, 2012.30 At issue in FiberTower is how courts are balancing non-pecuniary FCC regulatory issues with bankruptcy policy. The Texas Bankruptcy Court first rejected FiberTower’s arguments that the automatic stay barred the FCC from cancelling its licenses. Initially, the court questioned whether the automatic stay under Section 362(a)(1) of the Bankruptcy Code applied because it only stays proceedings against a debtor, whereas in FiberTower, the debtor had initiated FCC proceedings to seek an extension or waiver of the substantial service requirements. Assuming that the automatic stay was applicable, the Texas Bankruptcy Court found that the Section 362(b)(4) exception applied, observing that the FCC’s “decision whether or not the Licenses are or should be terminated for non-compliance with the Substantial Service Standard lies within the heart” of its police and regulatory power.48 The court also acknowledged that it lacked authority to preclude the FCC from determining whether FiberTower had satisfied the substantial service requirements. The court then analyzed whether an injunction could issue on the alternative ground sought by FiberTower, Section 105(a) of the Bankruptcy Code, using the traditional four-part test: (1) likelihood of success on the merits: (2) irreparable injury: (3) balance of the equities: and (4) the public interest. Although the Texas Bankruptcy Court emphasized the limited nature of the injunctive relief it was granting, its ruling appears to break ground in at least two ways: (1) it fundamentally departs from the Commonwealth Oil standard on success on the merits, and (2) its theory of shared jurisdiction over the FCC licenses raises the issue of whether the effect of its injunction is to diminish the FCC’s regulatory power. For although the Texas Bankruptcy Court was careful to say repeatedly in its opinion that it had no expertise or power to circumvent the FCC’s regulatory authority, its shared jurisdiction theory bars the FCC from the ultimate exercise of its regulatory power, cancelling the licenses. The FCC sought to appeal the Texas Bankruptcy Court’s issuance of the injunction, but on November 6, 2012, the United States District Court for the Northern District of Texas denied leave to appeal, finding that the FCC had not satisfied the grounds for appeal of an interlocutory order under 28 U.S.C. § 1292(a), which means that the Texas Bankruptcy Court’s ruling will remain in place until there is a trial on the merits of the Adversary Proceeding.56 The very next day, the FCC issued a decision denying FiberTower’s requests for relief from the substantial service standard with respect to approximately 700 licenses.57 The FCC found that FiberTower had not met the substantial service standard with respect to the licenses at issue. It noted that FiberTower had made a business decision not to provide service in the areas covered by the licenses, and that FiberTower’s failure to meet the substantial service standard was not the result of circumstances beyond its control, but rather a business judgment that had proven unwise. For those reasons, and because FiberTower had already been granted a previous extension in 2008, the FCC that there was no basis to grant FiberTower additional time to meet the substantial service requirements or waive compliance with them. It therefore held that the licenses had terminated as a matter of law as of June 1, 2012. In its decision, the FCC indicated that it would comply with the preliminary injunction issued by the Texas Bankruptcy Court and that it would not seek to re-auction or otherwise dispose of the licenses so long as the injunction remained in effect. The result for now is a procedural impasse; FiberTower’s FCC licenses have terminated, subject to its right to appeal to the full FCC and the Court of Appeals for the District of Columbia. But by the same token, the FCC has seen its ability to re-sell the idle FCC licenses stymied by the District Court decision denying its right to appeal. LightSquared’s FCC legal problems are similar to those of FiberTower. In seeking to rescind its Conditional Waiver Order based on GPS interference, the FCC is clearly exercising its regulatory jurisdiction. But LightSquared does not appear to have a strong case that revocation of the Conditional Waiver Order would constitute an automatic stay violation. The FCC led the extensive testing conducted in 2011 and 2012, and has conducted an administrative proceeding on this issue in accordance with its own regulations. For those reasons, the FCC has a strong position that any revocation of the Conditional Waiver Order would be exempt from the automatic stay under Section 362(b)(4) of the Bankruptcy Code. But like FiberTower and most other troubled telecom debtors, there can be little doubt that LightSquared’s L-band spectrum represents its most valuable asset, the loss or curtailment of the use of which would severely damage its prospects for reorganization. LightSquared can argue that a revocation of the Conditional Waiver Order would doom its prospects for reorganization. But for the time being, it appears that LightSquared is still hoping to achieve a negotiated resolution with the FCC. Indeed, it is notable that since it commenced its Chapter 11 proceeding in May 2012, LightSquared has not initiated litigation in the Bankruptcy Court seeking any form of relief from its FCC problems, instead pursuing the dual path of FCC lobbying and litigation. However, in light of the FiberTower decision, LightSquared may determine that it has a stronger basis to halt any revocation on the Conditional Waiver Order until the FCC completes its internal review and through any appeal to the Court of Appeals for the District of Columbia. FiberTower demonstrates that the interplay between telecommunications and bankruptcy law remains an active fault line, one that threatens to send unexpected shock waves at any time. If an appeals court reverses or vitiates the Texas Bankruptcy Court’s ruling, it will strengthen the FCC’s power; if FiberTower is affirmed, it will encourage other debtors, perhaps including LightSquared, to further test the interplay between these regulatory schemes. 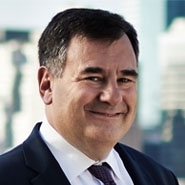 Stephen Selbst is a Partner and the head of the Bankruptcy Department at Herrick, Feinstein LLP. He frequently represents creditors in telecommunications bankruptcy cases. 1. FiberTower Network Services Corp. et al. v. FCC, case 12- 44027, United States Bankruptcy Court for the Northern District of Texas (the “Adversary Proceeding”), ECF #46, Oct. 11, 2012 (“Memorandum Opinion”). 2. FCC v. NextWave Personal Communications, Inc., 537 U.S. 293 (2003). 3. Federal Communications Act of 1934, 47 U.S.C. § 151 et seq. 4. See 47 U.S.C. § 301. 5. See, Federal Communications Commission Spectrum Policy Task Force, Report of the Spectrum Efficiency Working Group, November 15, 2002 available at transition.fcc.gov/sptf/files/SEWGFinalReport_1.pdf. 6. See, Connecting the Globe, A Regulations Guide to Building a Global Information Community, available at transition.fcc.gov/connectglobl./sec5.html. 7. See, 47 U.S.C. 309(j)(1) (authorizing competitive bidding). 9. Noam, The Emerging Cyclicality of the Telecom Industry, published in Global Economy and Digital Society (Bohlin, Levin, Sung and Yoon, eds.) 2004. 10. See, generally, 47 C.F.R. Part 90; see also FCC, Wireless Telecommunications Bureau, Construction/Coverage Requirements, available at http://wireless.fcc.gov/licensing/index.htm? job=const_req_by_service. 11. Warren, Bankruptcy Policy, 54 U. Chi. L. Rev. 775, 787 (1987). 12. NLRB v. Bildisco & Bildisco, 465 U.S. 513 (1984). 13. FCC v. NextWave Personal Communications, Inc., Id. 14. See In re Amendment of the Comm’n’s Rules Regarding Installment Payment Fin. for Pers. Communications Servs. (PCS) Licensees, Second Report and Order and Further Notice of Proposed Rule Making, 12 F.C.C.R. 16436, 16439, 16452-70 (Oct. 16, 1977), In re Amendment of the Comm’n’s Rules Regarding Installment Payment Fin. for Pers. Communications Servs. (PCS) Licensees, Order on Reconsideration of the Second Report and Order, 13 F.C.C.R. 8345, 8350-51 (Mar. 24, 1998). In re Amendment of the Comm’n’s Rules Regarding Installment Payment Fin. for Pers. Communications Servs (PCS) Licensees, Second Order on Reconsideration of the Second Report and Order, 14 F.C.C.R. 6571, 6576 (April 5, 1999). 16. Wireless Telecommunications Bureau Announces June 8, 1998 Election Date for Broadband PCS C Block Licenses, 13 F.C.C.R. 7413 (April 17, 1998). 17. NextWave Pers. Communications, Inc. v. FCC (In re NextWave Pers. Communications, Inc.), 235 B.R. 263 (Bankr. S.D.N.Y 1988) aff’d, 241 B.R. 311 (S.D.N.Y. 1999), rev’d 200 F.3d 43 (2d Cir. 1999). 19. 241 B.R. 311 (S.D.N.Y. 1999). 20. 200 F.3d 43 at 53-54. 21. 200 F.3d at 55. 22. In re NextWave Pers. Communications, Inc., 244 B.R. 253 (Bankr. S.D.N.Y. 2000). 23. In re FCC, 217 F.3d 125 (2d Cir. 2000). 24. In re NextWave Pers. Communications, Inc., Order on Reconsideration, 15 F.C.C.R. 17500 (Sept. 6, 2000). 25. NextWave Pers. Communications, Inc. v. FCC, 254 F.3d 130 (D.C. Civ. 2001). 27. 537 U.S. at 301-302. 29. Adversary Proceeding, ECF #40. 31. Declaration of Kurt Van Wagenen In Support of Chapter 11 Petitions and First Day Motions, filed in case 12-44027, United States Bankruptcy Court for the Northern District of Texas, ECF #2 at ¶ 5. 35. 47 C.F.R. § 101.527(a). 37. Memorandum Opinion at 8. 39. Id. at ¶ 33-34. 40. Id. at ¶¶ 31-37. 41. Adversary Proceeding, ECF #1. 44. Memorandum of Law in Support of Debtors’ Emergency Motion (I) To Enforce Automatic Stay Against the Federal Communications Commission or, in the Alternative, (II) For Injunctive Relief Barring the Actual Cancellation of the Debtors’ Spectrum Licenses Until Such Time As a Final Non-Appealable Order Has Been Entered in Respect of the Licenses, Adversary Proceeding, ECF #2 at 10-11. 45. FCC’s Objection to Debtors’ Emergency Motion to Enforce Automatic Stay or For Injunctive Relief, Adversary Proceeding, ECF #14 at 5-6. 46. Id. at ¶ 6-8. 48. Memorandum Opinion at 13. 49. Memorandum Opinion at 19, fn. 30. 50. Id. at 19 (emphasis in original). 55. The Texas Bankruptcy Court’s reference to a temporary stay is interesting because in colloquy with FCC counsel at the hearing on the preliminary injunction, the court was told that the FCC’s internal review could last up to a year, with review by the Court of Appeals for the District Circuit taking additional time beyond that. Adversary Proceeding, transcript of hearing, September 12, 2012 at 138. 56. U.S. v. FiberTower Network Services Corp., case 12- 00766, United States District Court for the Northern District of Texas, ECF#8. 57. In the Matter of FiberTower Spectrum Holdings LLC, Memorandum and Order, November 7, 2012, __ F.C.C. Rec. 58. Declaration of Marc R. Montagner (“Montagner Declaration”), Chief Financial Officer and Interim Co-Chief Operating Officer of LightSquared Inc. (a) In Support Of First Day Pleadings And (b) Pursuant To Rule 1007-2 Of Local Bankruptcy Rules For United States Bankruptcy Court For Southern District Of New York, filed in case 12-12080, United States Bankruptcy Court Southern District of New York, ECF#3 at ¶ 6. 59. Montagner Declaration at ¶ 12. 60. Montagner Declaration at ¶ 11. 61. In the Matter of LightSquared Subsidiary LLC, Request for Modification of its Authority for an Ancillary Terrestrial Component, Order and Authorization, 26 FCC, Rcd 566 (IB, rel. Jan. 26, 2011) (the “Conditional Waiver Order”). 62. See, e.g., Petition for Reconsideration of the U.S. GPS Industry Council, In the Matter of Fixed and Mobile Service in the Mobile Satellite Service Bands at 1525-1559 MHz and 1626.5-1660.5 MHz, 1610-1626.5 MHz and 2483.5-2500 MHz, and 2000-2020 MHz and 2180-2200 MHz, ET Docket 10-142 (filed June 30, 2011). 63. Comments of the U.S. GPS Industry Council, In the Matter of LightSquared Subsidiary, LLC, Technical Working Group Report, IB Docket 11-109, In re the Application of Light- Squared Subsidiary LLC, Request for Modification of its Authority for an Ancillary Terrestrial Component, File No. SAT- MOD-20101118-00239 at 17-18 (filed August 1, 2011). 64. Letter from Lawrence E. Strickling, ( “Strickling Letter”) Assistant Secretary for Communications and Information, United States Dept. of Commerce, to Julius Genachowski, Chairman, FCC (Feb. 14, 2012), available at http:// www.ntia.doc.gov/files/ntia/publications/lightsquared_letter_ to_chairman_genachowski_-_feb_14_2012.pdf. 65. Strickling Letter at 3-6. 66. Strickling Letter at 2-3. 67. Strickling Letter at 3. 68. Public Notice, International Bureau Invites Comment on NTIA Letter Regarding LightSquared Conditional Waiver, IB Docket 11-109 (Feb. 15, 2012). 69. Montagner Declaration at ¶ 12. 70. Motion for Entry of Order Pursuant to Section 1121(d) Extending LightSquared’s Exclusive Periods to File a Plan of Reorganization and Solicit Acceptances Therefor, In re Light- Squared Inc., case number 12-12080, United States Bankruptcy Court for the Southern District of New York, ECF#294 at ¶ 23. 72. Testimony of Marc R. Montagner, Chief Financial Officer and Interim Co-Chief Operating Officer of LightSquared, May 29, 2012, in In re LightSquared Inc., case number 12-12080, United States Bankruptcy Court for the Southern District of New York, ECF#86 at 59. 73. Comments in Opposition of LightSquared Inc., In the Matter of LightSquared Technical Working Group Report, IB Docket 11-109, DA 12-214; and LightSquared Subsidiary LLC Request for Modification of its Authority for an Ancillary Terrestrial Component, File No. SAT-MOD-20101118-00239 (March 16, 2012). 75. Katherine Burton and Saijel Kishan, Falcone Said to Be Seeking Spectrum Swap to Salvage LightSquared, Bloomberg, February 12, 2012, available at http://www.bloomberg.com/ news/2012-02-16/falcone-said-to-be-seeking-spectrum-swap- to-salvage-lightsquared.html. 76. See, In the Matter of LightSquared Subsidiary, LLC, Petition for Rulemaking (filed September 28, 2012). 78. See, LightSquared Ex Parte Communication and Request for Action, IB Docket Nos. 08-184, 11-109; ET Docket No. 10- 142; IBFS File no. SAT-MOD-2010118-00239 (filed September 24, 2012).